I have been following with interest the recent Panorama investigation in to leading figures within FIFA and the allegations of bribery. It seems uncertain now whether or not this story will impact our bid for the 2018 World Cup, I hope it doesn’t and Michel Platini doesn’t think it will, but we have to maintain the BBC’s right to journalistic independence and if the allegations are true then they should certainly be exposed. 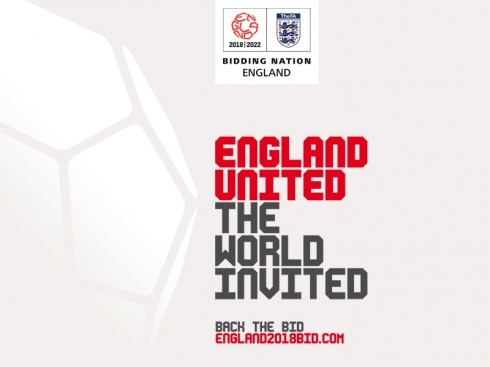 I think it would be wonderful for England to host the World Cup, just as it is such a boon for London to host the 2012 Olympics, but we can’t suppress the reporting of corruption just for the sake of this opportunity. FIFA is obviously a very powerful, supranational organisation that maintains a massive amount of independence from governments around the world. This is probably for the best, but looking at this situation made me think of the work that bodies such as the EU can do in terms making sport fairer and more accountable. Within the next month or two the commission will be releasing a communication on sport that will put forward a number of proposals that will hopefully go some way to dealing with some of the major issues facing sport in Europe. The first of these is player’s agents, which is something that has marred the reputation of some sports (I’m thinking of football in particular here) in recent years. Due to the many levels of authority that exist in the sport world at the local, national and international level, you can see why there is so much confusion in the regulations surrounding the representation of athletes. I think what we have to bear in mind is that people usually enter sport at a very young age and they need to be protected. Hopefully their families can offer them support, but sometimes this is not enough. Agents must be held to account and I think they should be required to pass exams and gain licences, which could be revoked for misconduct. I wouldn’t mind seeing a licensing system run by FIFA or UEFA, or other relevant sporting bodies, but for it to be effective it would have to be mandatory. I hope that we can introduce some legislation that will properly protect professional athletes across Europe. Sport is such an important part of all our lives, whether we are professional athletes, amateur enthusiasts or just keen observers, so I think we should be making sure that the sports men and women who we look up to and inspire us are properly protected and represented. I am very much looking forward to the Commission communication on this and hope to work closely with them to see that we achieve the best result possible.